Slideshows Of Family Photos Are A Big Hit At Weddings. Blog » Slideshows Of Family Photos Are A Big Hit At Weddings. 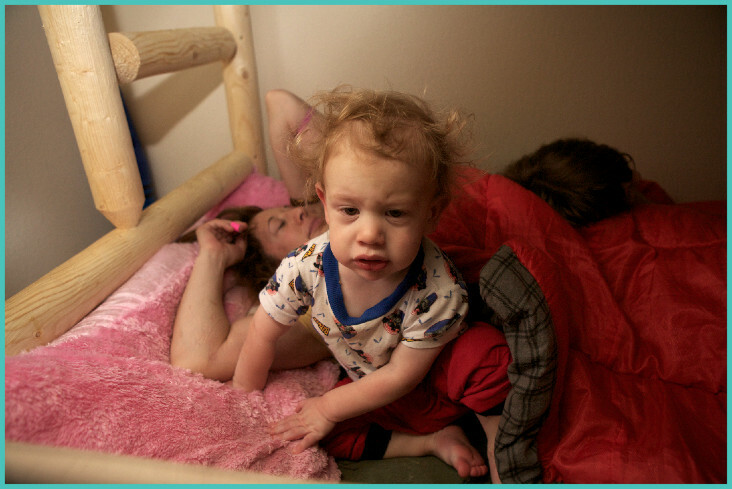 My boy Danny turned 8 this week, and as I was going through old photos I had taken of him to make his birthday card, I came across this beauty of him waking up from a nap with his mom. Instantly I smiled as I thought to myself...self, this would be an awesome photo to include in the slideshow at his wedding. I've already decided I'm doing this. He has no say in it. Sorry kid. That's the price you pay for having a professional photographer as a Dad. I just have too many awesome pictures of my two kiddos to keep them under wraps. I also know every wedding I've ever shot that has had a slideshow of the couple growing up has been a massive hit—complete with a lot of laughing and crying from all the wonderful memories these images invoke. You might also reveal some things about your past to your newer friends. Feel free to show off those pics from your nerd years. It is so endearing and shows the story of your journey to this moment in a way words can't. Although I don't shoot the actual slideshow, I can shoot the reaction that you and your guests have to it—many of which are priceless. Don't be afraid to laugh at yourselves. We all have those images of that bad hair DECADE. It's only going to make your family and friends love you more. © Photo & Text By Steve Keegan, 2014 All Rights Reserved.